Home » Home and Garden » Do You Know How to Safeguard Your Home the 2019 Way? Boomer is doing his job and your whole family is up to date with the latest list of security checks. But how safe are you and your loved ones really? It’s 2019 and while everyone worries about cyber security in the modern world, this is no time to forget about the physical aspect. Do you have peace of mind leaving home or leaving your loved ones there when you go to work? Home security is key. Luckily modern innovation also enhances this part of daily living. Something as simple as security doors and security screens still do their jobs well. Pick the right ones and you can sleep assured knowing your family is safe. But how do you know you’re investing in valuable security doors? What Makes a Security Structure Safe? This is not a purchase you can take lightly. Every aspect of buying technical or physical security infrastructures require your utmost attention. Here are a few aspects you need to put on your checklist. A guarantee often proves the quality of a structure. Discuss exactly what falls under the protection of the guarantee so you know what you’ll have to pay for if something does go wrong. Buying from leading security doors vendors you may get as much as a 10 year standard warranty. That makes this a long term investment, rather than simply an expense. This can easily tie in with the matter above. Does the guarantee hold if you’re installing the structure or system yourself? If you do pay the vendor or a service provider to install it on your behalf, ask about their training and certification if applicable. Installation determines whether the components will work effectively, so you don’t want a sub par job. Getting it right the first time is vital, so read reviews and see if the technicians deliver quality work. You don’t want to be forced to pay an additional team to do it all over. You also don’t want to put your people at risk because someone made a mistake. Steel. The strands should be thick, such as 0.9mm. Aesthetics matter too, so make sure the mesh presents well. You don’t want to ruin your home or office’s overall look. A clamp system comprises of mesh sandwiched between two serrated pieces of aluminium. The result is a much stronger grip and more endurance in strength. All features that enhance safety by giving intruders one more barrier to deal with, is worth the investment. Something to look for: A fitted triple lock, which is made from stainless steel for superior strength that meets all Australian quality standards. As the clamp systems above it makes it more difficult for intruders. This can also affect your insurance premium as you create a super safe environment. barriers. Any additional feature may also serve as a deterrent: When an intruder realizes it will simply take too long to access your building or property, they will look for a different target. As mentioned above, looks matter. If you pick the right product a sleek design will add aesthetic value to a place instead of ruining your home or office style. To suit your interior preferences many security door designs come in a variety of colours such as different shades of white, grey, brown to blue. Various woodgrain tones are also available for a more natural look and feel. When it’s time to sell your property, this will definitely add to its resale value—buyers want features that are easy on the eyes. Don’t consider these products for security only. They can be so much more. Next time you dream of uninterrupted peace and quiet, your security features could give you a solution. 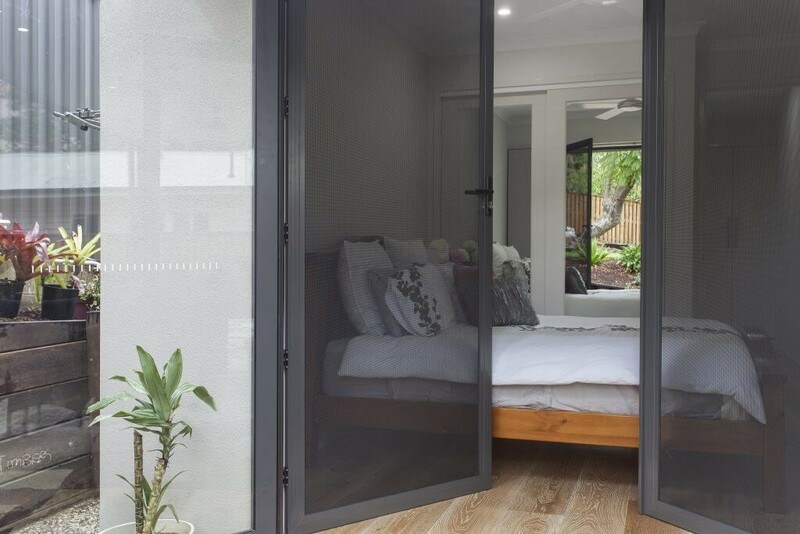 Properties are now closer to each other more than ever before, but with a privacy screens you can create spaces that are both functional and aesthetically pleasing. Nosey neighbours will be a problem of the past when purchasing a privacy structure. Green home living is a priority for many and you don’t have to sacrifice your values simply to feel safer. Just be creative. wonderful green touch to urban spaces. Decide on small containers porcelain, glass or clay that won’t be too heavy for your choice of screen design. Herbs, succulents and small perennial shrubs thrive in contained spaces. But there’s more, brighten your privacy screen with LED string lights for festive occasions or leisure evenings with friends. It’s 2019—You need to be up to date with this industry, so now modern criminal can beat your infrastructure. Know what you’re looking for and get guaranteed satisfaction. With your house secured with quality security doors and screens, Boomer can enjoy more play time in the garden, instead of playing watchdog inside. You as well as your family can rest assured knowing that your home is safe. The long term benefit: Future buyers will beg you to accept their offers, because EVERYONE values their own safety. Close the door on any unwanted surprises with the right security doors and screens.